The European construction industry will grow until 2021, despite a slowdown in dynamics. While construction output in 2018 expanded by 2.8 percent, this year’s increase is likely to amount to just 2 percent. For 2021, the latest forecast by the Euroconstruct research network assumes an increase of 1.3 percent. “The main reasons for the upturn in construction seen since 2014 include a good economic situation, a favourable interest rate environment and greater scope for action by the public sector,” explains ifo expert Ludwig Dorffmeister. “On top of these factors, immigration and growing urbanisation in many places in Europe not only require an expansion of the local housing supply, but also call for more transport routes,” he adds. The slowdown in the pace of growth is partly due to the fact that construction output increased by over 12 percent between 2014 and 2018. In eight of the 19 Euroconstruct countries, for example, construction output last year was clearly above the pre-crisis level of 2007; and in some cases it was even significantly higher. “In Germany, construction volume has risen by almost 9 percent since 2014,” adds Dorffmeister. However, Germany is not the only country to see a marked increase in construction bottlenecks, which has been reflected, among other things, in an accelerated increase in construction prices. Investments in civil engineering structures increased sharply in 2018 and this trend is likely to continue in 2019. By contrast, residential construction and other building construction are now growing far more moderately. By the end of the forecast period in 2021, momentum will be weakest in residential construction, with growth of over half a percent. As for new construction, this will stagnate at best as of early 2020. The ifo Institute is the founding member of Euroconstruct, which includes researchers from 15 Western and 4 Eastern European countries. 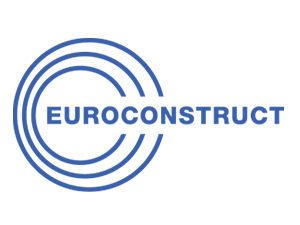 Further information can be found at http://www.euroconstruct.org/ec/reports.